For those looking for periodontal disease treatment, it may seem like an impossible dream to get a beautiful smile in a single day. Well, it’s true: Beverly Hills Periodontics & Dental Implant Center specializes in same day dental implants, giving patients a beautiful and functional smile in as little as one appointment. Skillful planning goes into appointments for same day dental implants in Los Angeles. Beverly Hills Periodontics & Dental Implant Center pre-plans the appointment before the day of the procedure(s), by using high-resolution 3D CT scans and virtual planning software, to ensure the implants are affixed properly and safely. For most cases, direct communication and collaboration between the surgeon and the restorative dentist is necessary. 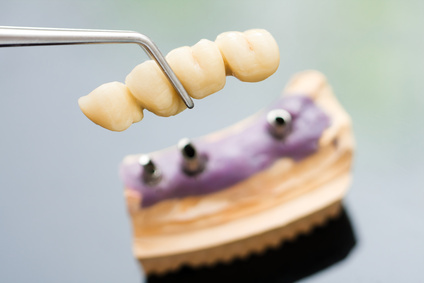 For a full mouth rehabilitation, the placement of the implants into the proper jaw position is initially performed virtually with a software before a surgical guide is fabricated. 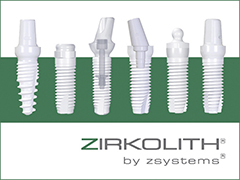 The surgical guide assists the surgeon in positioning the dental implants with the outmost accuracy and precision. This technique allows for flawless surgery which translates into less swelling and faster recovery. The software planning of the guided surgery also allows affiliated dental laboratories to fabricate temporaries that can be loaded to function immediately after the placement of the dental implants. Moreover, for many, a single restoration is sufficient, or immediate temporaries are made up and then placed after your implant is put in place by your periodontist. This allows for the best long-term aesthetic results. The Beverly Hills periodontist who is synonymous with a beautiful smile is Dr. Peiman Soleymani, a dental implant specialist and board-certified periodontist. By offering the Greater Los Angeles community such diverse services with cutting edge dental technology, Dr. Soleymani has built an excellent periodontal practice in Beverly Hills. After your initial consultation, Dr. Soleymani will be well-acquainted with your precise dental needs and wishes, so he can map out the exact plan for full mouth restoration, which can be completed in as little as one day. If you are interested in learning more about how we can help alleviate your periodontal disease and potentially provide you with same day dental implants, contact us today. Beverly Hills Periodontics & Dental Implant Center can be reached by dialing 310-275-4606, or feel free to visit our contact page and submit an online inquiry. Our courteous and attentive team is committed to providing warm and personalized patient care. We are always eager to share our knowledge and expertise, so that we may remove any unnecessary anxiety on the part of our valued patients.